“We smile and seem to enjoy ourselves,” says Olympic synchronized swimmer Emily Porter LeSueur, “but that’s a facade. It’s actually quite difficult.” “When I was about 15,” she says, “I decided I wanted to go to the Olympics. I wrote ’1996 gold medalist’ on a three-by-five card and signed my name. The card is still in my journal.” Emily fulfilled her goal when the United States’ synchronized swimming team won the gold medal at the Atlanta Games. “As in figure skating, synchronized swimming teams do a technical routine and a free routine, both set to music. I participated in our technical routine, which was choreographed to the melody of ‘When the Saints Go Marching In.’ The crowd was very responsive.” Although the sport traces its origins to water ballet, synchronized swimming has evolved considerably over the years. 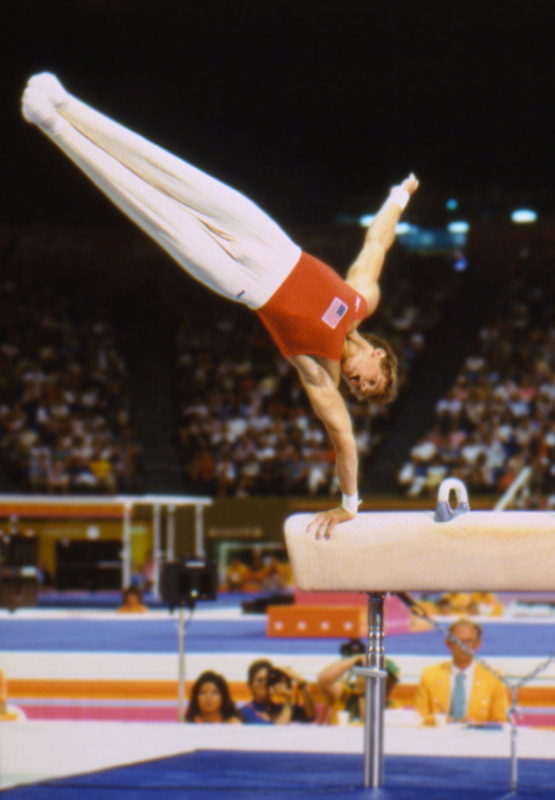 The 10 U.S. team members trained together for at least eight hours a day over a period of nine months. “What makes synchronized swimming so difficult,” Emily explains, “is that we can’t touch the bottom of the pool. We have to provide our own stability in the water. When we’re right side up we use leg strength, and when we’re upside down we use arm strength. Plus we’re holding our breath a lot of the time!” Emily recognizes much spiritual growth from her involvement in synchronized swimming. “I pray for help to make it through the difficult routines, and I have had the opportunity to share the gospel with my teammates and coaches,” she says. “Because national and international competitions have sometimes taken me away from family and Church attendance, I’ve learned to maintain spirituality through reading the scriptures and praying.” Emily recently moved with her husband, Ben, to the Sunrise Ward, Tucson Arizona Stake, so he could begin medical school at the University of Arizona. She graduated in December 1996 from Arizona State University with a degree in elementary education.